RLM WMS Enhanced gives your warehouse personnel the power of handheld scanning devices within the warehouse. Eliminate unnecessary lost time or entry mistakes by giving the users the ability to scan on the floor. RLM WMS Enhanced gives you all the same capabilities of the RLM WMS Express package and much more. 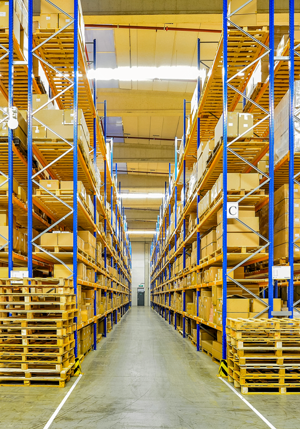 With warehouses running as large as two million square feet, or as small as 40,000 square feet, this system facilitates the location of any product within the warehouse. Set up scannable locations by an aisle, row, and bin within the warehouse, and scan putaway product by locations. Auto routing gives users the ability to scan pick tickets and the mobile device will lead them to the appropriate locations s to pick the products. With RLM’s Wave Release application, which works in tandem with the RLM WMS Enhanced package, you can bulk pick product by customer, PO, router, and several other bulking capabilities.